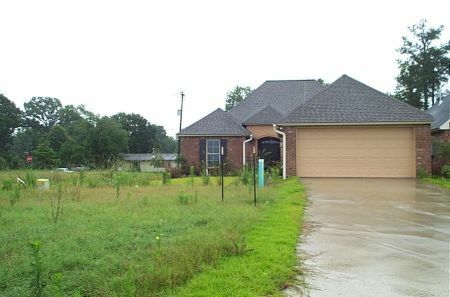 Denham Springs resident and home appraiser, Bill Cobb, offers comments and advice on the holding pattern that Crystal Lakes has been in since this development began in approximately 2007. I’ve watched Crystal Lakes for years now as my family and I have visited North Park and as I’ve driven down Burgess Road on my way to appraisal appointments. 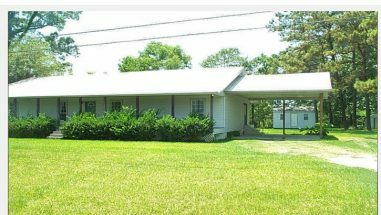 I knew why those first 5 and only homes weren’t selling and it had everything to do with “PRICE” in this Livingston Parish market. 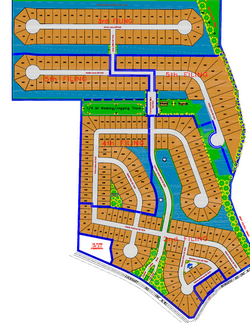 Let me say here and now that I believe Crystal Lakes will be a very nice development for the residents of Denham Springs when it’s more aligned with the overall pricing and quality that local residents can afford, which includes the $600/yr HOA Fee. The developer is Spatz Development out of Chicago. 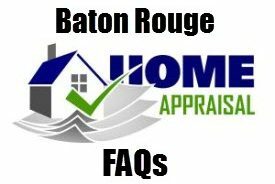 I was told back in 2006 by Livingston Parish Builder, Dennis Calmes, that Spatz Development first went to New Orleans after Hurricane Katrina and told the City that they’d like to help with the reconstruction of new homes. It was told to me that NOLA basically told Spatz that it would take at least a year or two before he could obtain his permits to build. 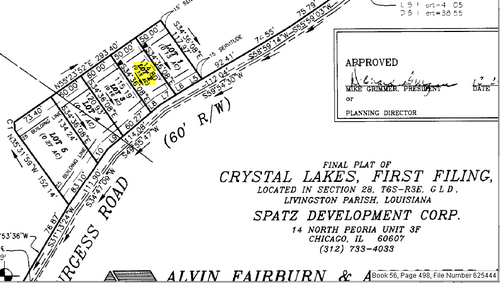 So, Spatz Development bought the land for Crystal Lakes where it was much easier to do business. Spatz Development was trying to accomplish a positive thing for the local community. But, like other local developers in the past 4 years, Spatz Development overshot the anticipated price these homes would eventually sell for in a market that turned to more affordable housing options – a market where $136/sf+ for new home construction isn’t and wasn’t at all sustainable. Maybe in California where incomes are higher, but not in Livingston Parish Louisiana and not in other parts of Greater Baton Rouge either. 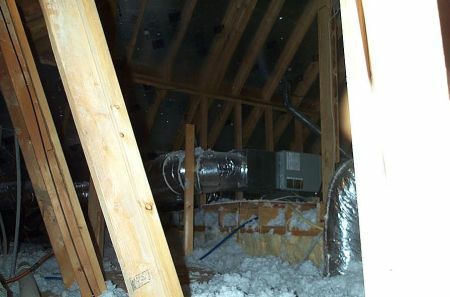 I recently appraised one of the 5 homes on Adora Ave in Crystal Lakes for a sale….approximately 3 years after this home was built. Why? One local Realtor I spoke with for this report said it had to do with “PRICE”. They stated that the developer built the 5 homes in 2007 and then tried to sell them by builder for something like $145/sf. 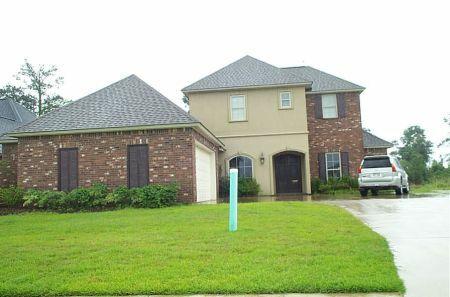 The Realtor Active Rain Network shows a blog post back to 2/5/2008, Denham Springs Crystal Lake Development Is On Fire!, but according to MLS, it wasn’t until early 2009 when these homes were finally listed in MLS. Trying To Be Too Much? YES! According to the Realtor I spoke with and MLS, the 5 homes range in living area size from 1,528sf all the way up to 3,125sf living area. That’s too wide a variance when the listing prices ranged from $189,900 to $435,000 on the same street, within 5 lots of one another. 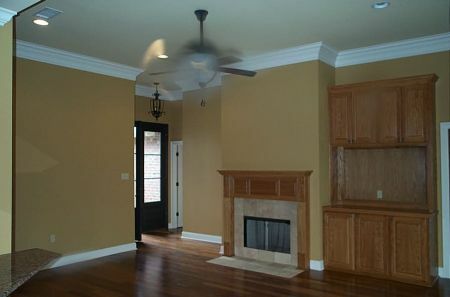 ADVICE: Build homes closer in living area size and closer in pricing! Too High Of Quality? YES! Oh Yes, these are high quality homes, quality you might see in the garden homes section of Greystone Golf where residents pay $150/sf+. 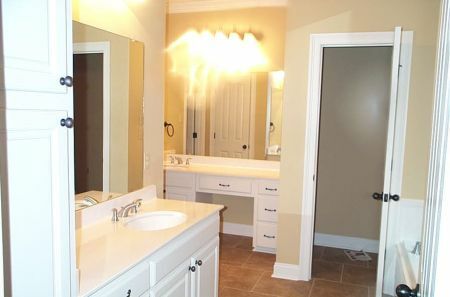 Was building this high of quality in this Denham Springs market a mistake? Obviously since it’s taken 3 to 3.5 years to sell just 2 of these 5 homes, it was a mistake. 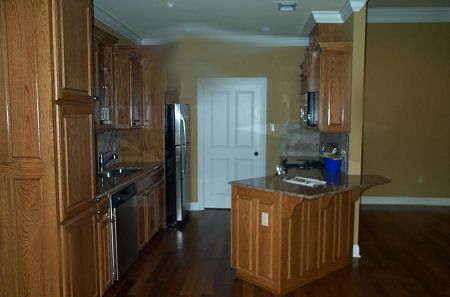 NOTE: 2 of the 5 homes are currently pending. 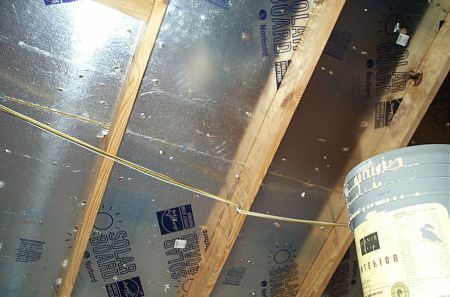 ADVICE: Lower The Quality Some To Lower The Price To Make These Homes More Affordable! 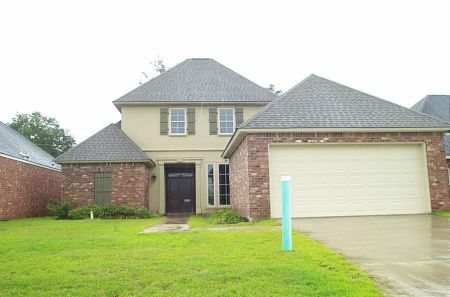 It’s Very Easy To Build Too High Of Quality Homes For Denham Springs Market! 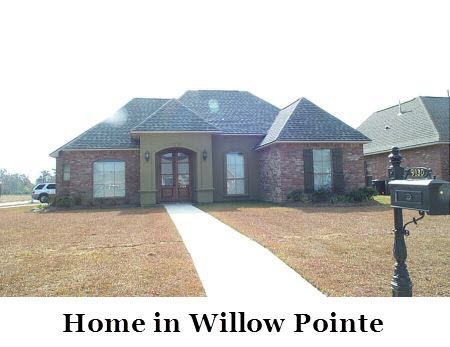 As I said about Juban Parc and other developments in Western Livingston Parish, this market is 80% affordable type housing served by DR Horton and PCC/Vicknair Builders. 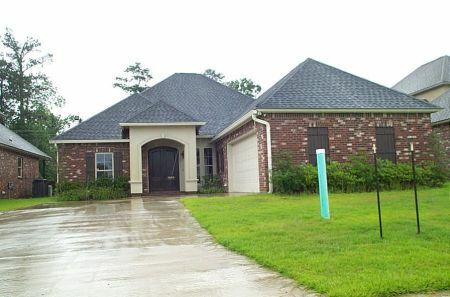 What’s selling in bulk now in Livingston Parish in terms of new homes is in the $135,000 to $150,000 range. This was all explained in the recent Baton Rouge Business Report article, The Real Estate Mogul Of Livingston Parish and I don’t refute the findings in that article. Mr. Thomason is building and providing housing that people can actually afford. He’s meeting a need that builders that expect $130/sf to $150/sf for their homes are not meeting. He’s a smart man that builds homes based on the incomes of the local residents and knows what they can afford as opposed to the builders that think they’re entitled to $136 + per sq. ft..
Mr. Thomason is so confident that he can continue to meet that need better than other builders that he purchased $10,000,000 in lots in 2009 in Ascension Parish. And, Mr. Thomason is selling homes in bulk while other local builders aren’t doing nearly as well as in the insane local housing markets of late 2005 to early 2008, with builders expecting $136/sf+ for their homes. That was then and this is the much more sane 2010s. 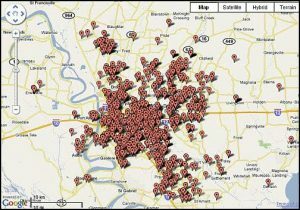 $128/sf+ in Livingston Parish generally doesn’t work as some builders AND THEIR BANKS have found out the hard way. The residents that bought those higher quality homes in Juban Parc early on are learning this lesson the hard way as well. 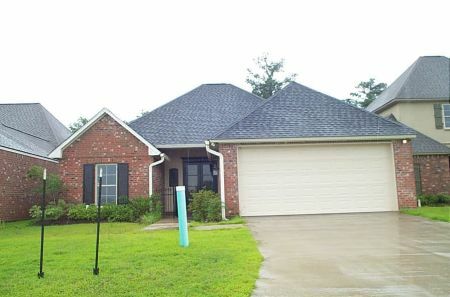 Other Homes In Crystal Lakes! MY ULTIMATE ADVICE! According to the Realtor I spoke with representing Crystal Lakes, the plan is to make the homes both smaller and similar in size. My advice would be to make this development similar to the home size and quality found in Willow Pointe S/D off Hatchell Lane, where the homes range in size from 1500sf to 1800sf and in pricing from $170K to $214K. In this appraiser’s opinion, Crystal Lakes would be more desirable of a development than Willow Pointe because of the older section of Kemberly Heights one has to drive through to get to Willow Pointe and that onerous left turn onto Hatchell Lane in the mornings. However, Willow Pointe is closer to Florida and closer to Interstate 12, which makes a big difference when there are no plans in action whatsover to make the commute from Crystal Lakes to Florida Blvd or Interstate 12 less grueling. That 2 mile difference in the mornings and evenings can seem like an eternity in the worsening traffic of Denham Springs. Traffic in Denham Springs is a complete nightmare and it doesn’t appear that much of anything is being done to to help us wake up from this daily nightmare. Why is Hatchell Lane still a 2 Lane road in 2010? I better quit now! 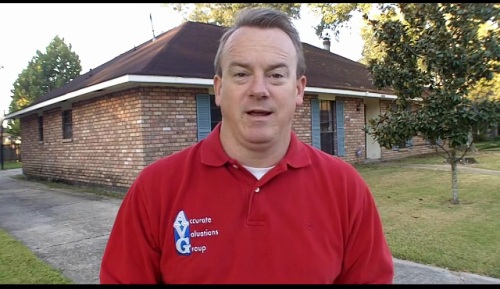 Bill Cobb, with Accurate Valuations Group, is and has been a local home appraiser for 18 years now.